COLOGNE, Germany – ThyssenKrupp Marine Systems has teamed with German Naval Yards Kiel in the race for a multibillion-dollar shipbuilding contract after the government rejected its bid as a prime contractor earlier this year. The move to play second fiddle to former competitor GNYK, which is owned by French-Lebanese investor Iskander Safa, comes after TKMS leaders had been looking for ways to remain in the running for the crucial $4 billion deal, media here reported. According to a company statement, the new tie-up would increase “the German share” in the GNYK proposal for the Mehrzweckkampfschiff 180, or MKS-180, though U.S. contractor Alion also is now involved. "Our offer for the MKS 180 program becomes even stronger with the input of the two engineering houses Alion and ThyssenKrupp Marine Systems,” GNYK Managing Director Jörg Herwig was quoted as saying in the statement. Britain's Ministry of Defence waited for the day Parliament went into its summer recess to reveal that a competition to build five frigates had been put on ice. The degree of domestic industry involvement has been a key factor in the conversation about the high-profile program here. 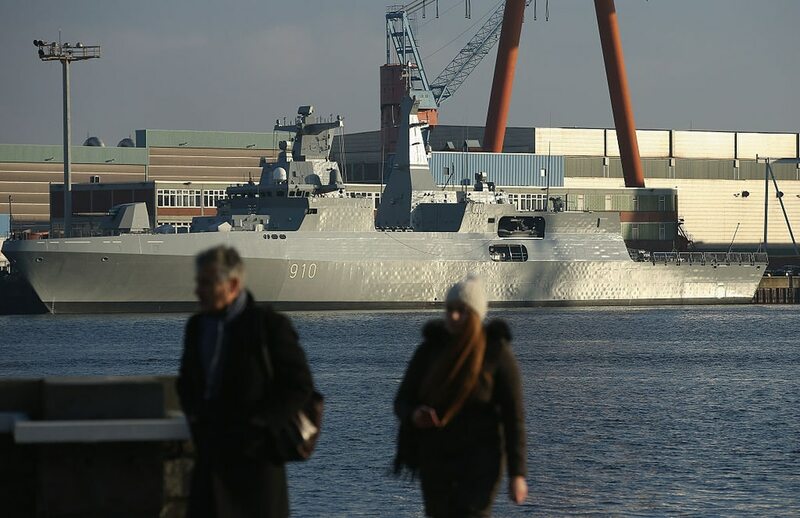 Defense ministry officials so far have appeared unfazed by that talk, arguing they would have no qualms involving the Dutch shipyard Damen, which is also in the running, in the program so long as all performance benchmarks are met. Should Damen and its German partner Blohme+Voss win the competition, local companies risk losing ground – and jobs – in the international surface shipbuilding business, argue lawmakers from the affected districts. Both industry teams are expected to make formal offers for the design of four ships in the MKS-180 program by the end of the year.